Take a look at this piece I am working on! 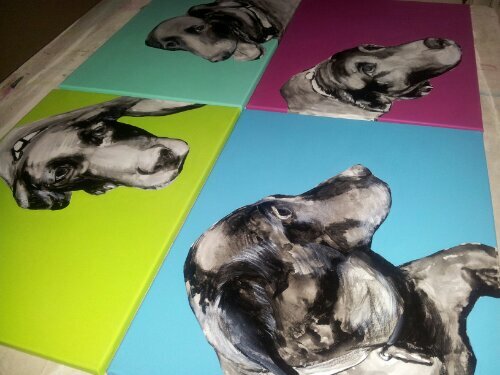 It is made up of four paintings of the same pooch. 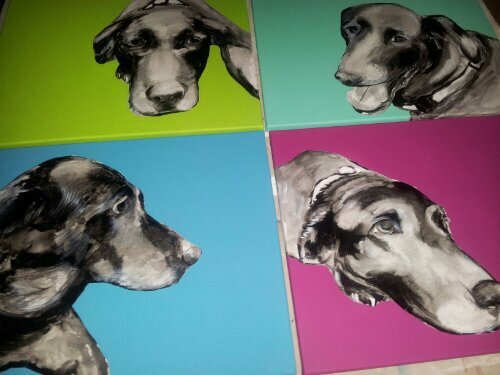 Each painting is done on a 16″x 20″ canvas. 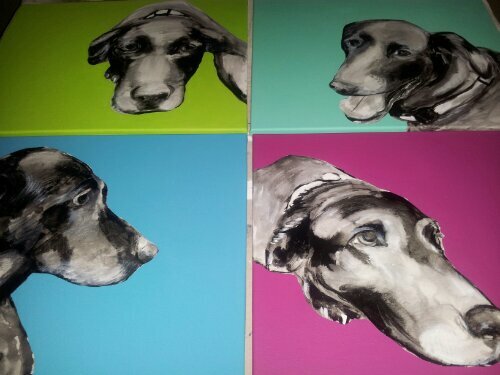 Mention this post and I will make you a deal for four paintings of your pooch!